What Is Kimchi And How Can I Make It At Home? Kimchi or kimchee originates from Korea and has been eaten in various forms in Korea and the rest of Asia for thousands of years. It is just as popular as ever nowadays and is a versatile, healthy dish bursting with goodness and vitamins, minerals and antioxidants. It is full of probiotics which help you to digest your food more easily and help to build up your immune system and reduce inflammation in the body. 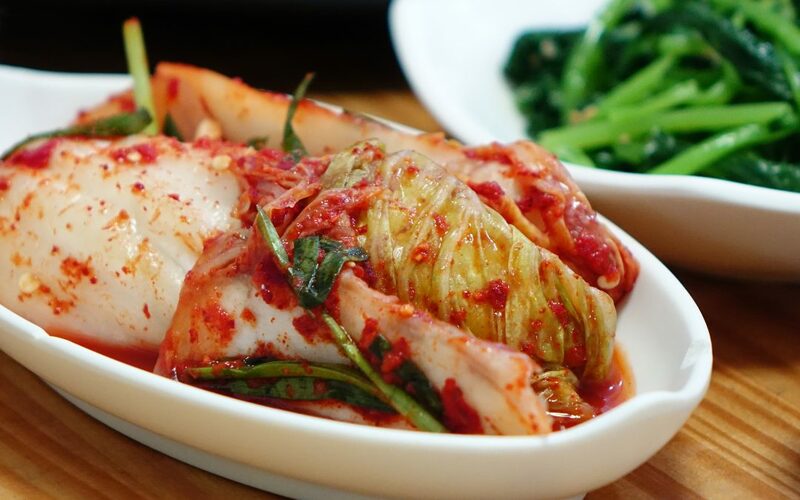 Kimchi can be made with a variety of different ingredients, sticking to a purely vegetarian version or adding in extra ingredients like fish sauce or fish such as anchovies. 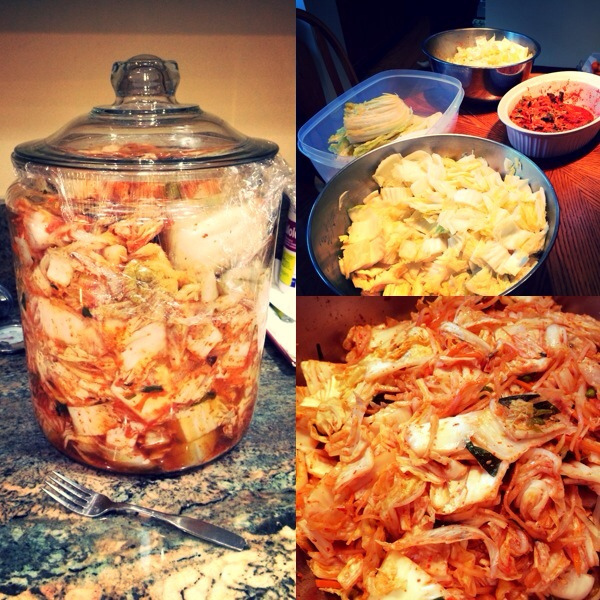 The traditional base to make kimchi is the same as for sauerkraut – cabbage. You can choose from Chinese cabbage, green cabbage, white cabbage etc. according to taste. Then you can add in your favourite ingredients such as spring onions, white onion, red onion, chillies, ginger, turmeric, radish, horse radish, lemongrass, garlic… The list is endless. By adding in a mixture of ginger, chillies, turmeric and garlic which are all natural anti inflammatory foods as well as flavour enhancers to any dish, you are getting double the benefit from this dish! In many Korean homes they always have a large crock pot of kimchi on the go. Adding in extra ingredients every time you eat some so the pot is always full and the new batch ferments with the old batch creating your own personalised family flavour. Traditionally by making kimchi it was a very efficient way for people to store vegetables over the winter months when fresh vegetables were hard to come by. Kimchi makes a great complement to heavier rice or noodle dishes and is eaten daily in many Korean households. In fact, many Koreans eat kimchi at every meal as the y often have several different jars with different flavours on the go at any one time. You can adapt the main ingredients and amounts of chili and garlic etc. as you wish depending on your personal taste, to make it stronger according to your own personal taste. Add all of your prepared vegetables to a bowl and sprinkle with the Himalayan salt. Massage for about 15 minutes or until the vegetable juices are released and vegetables are all softened. Add the vegetables and the juice to your fermenting jar and pack it down compactly. Be sure the liquid line is well above the vegetables. Use the outer cabbage leaves to cover your packed vegetables for extra protection to seal from the air. Seal the jar tightly to avoid air entering the fermenting jar. Allow to ferment for about a week to 10 days on a kitchen worktop or in a cupboard or in the pantry, until it reaches your desired taste and texture. Be sure to continually press down your kimchi mixture below the liquid line. Once your batch of kimchi is ready, store it in the fridge in an airtight container. If you wish, you can add extra ingredients as you go along and stir around and allow to ferment again to keep the batch going constantly.